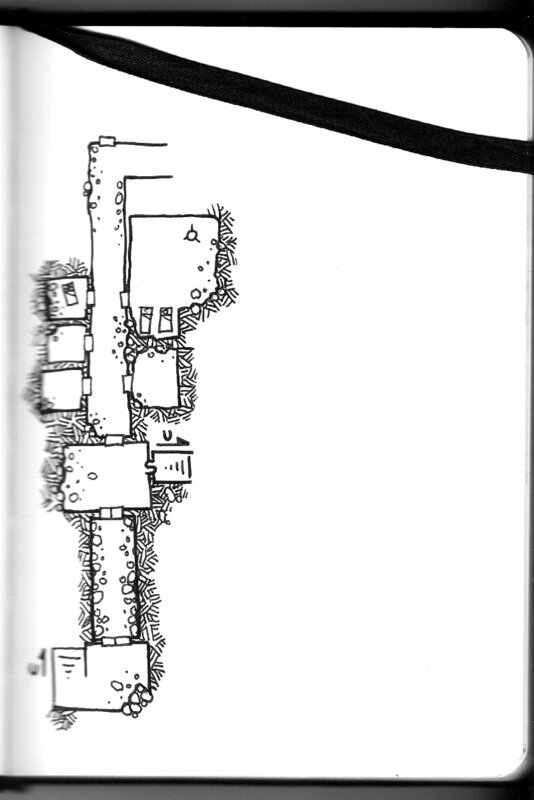 In our Tuesday night campaign, our most recent excursion has us exploring a section of slums that were built out of the old mine shafts that were the origin of the city we are currently using as our base of operations. We’re hunting for some people – an acquaintance, an old gang member, and some smugglers; all of whom we believe are living or have operations down here. 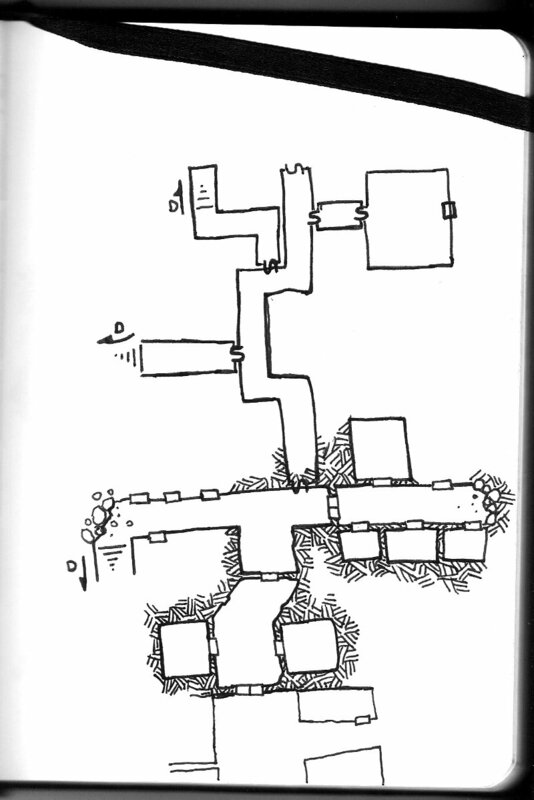 The second level of these byways has been especially fun to draw, and I look forward to finishing exploring them so I can redraw the maps to be a bit cleaner. As it is, we find secret doors in areas that I’ve already filled in – I should learn not to do my cross-hatching until all the walls have been drawn in. Both maps were drawn in my non-gridded notebook using a 0.7mm black gel pen. Again, I can’t take credit for the design, just for drawing it out. Did I mention I really like how level 2 came out?